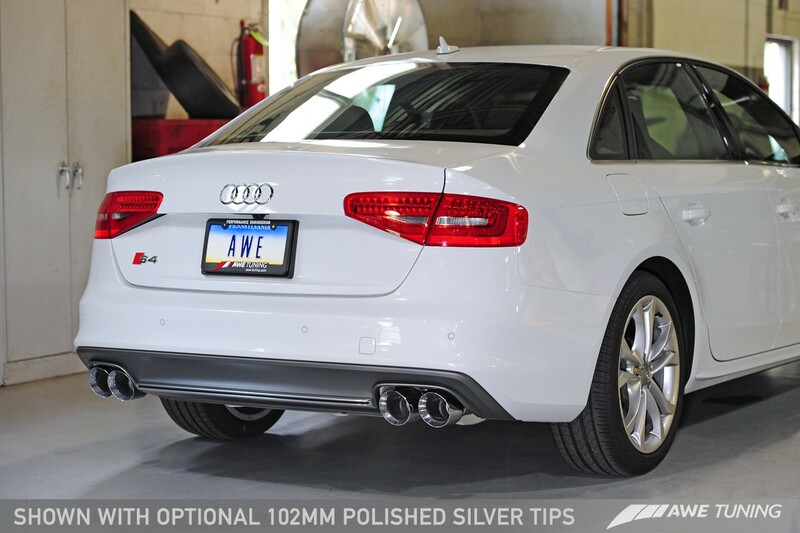 UroTuning is proud to offer the AWE Tuning Touring Exhaust system for the B8/B8.5 Audi S4. 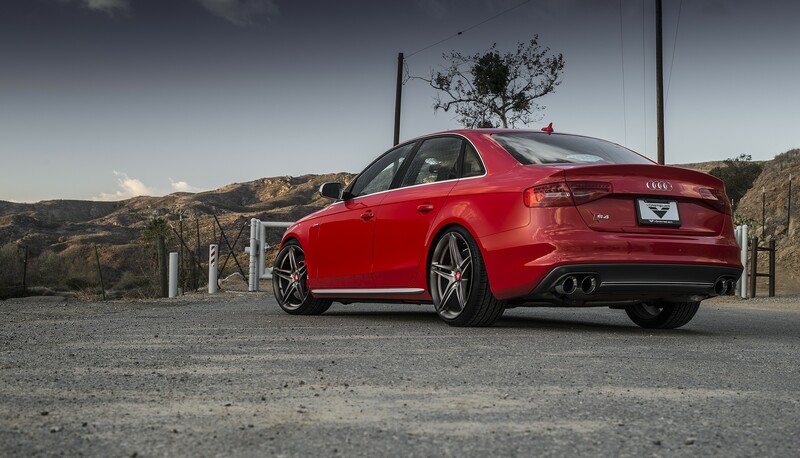 We feel this is the best exhaust system out there today for the 3.0T equipped Audi S4. 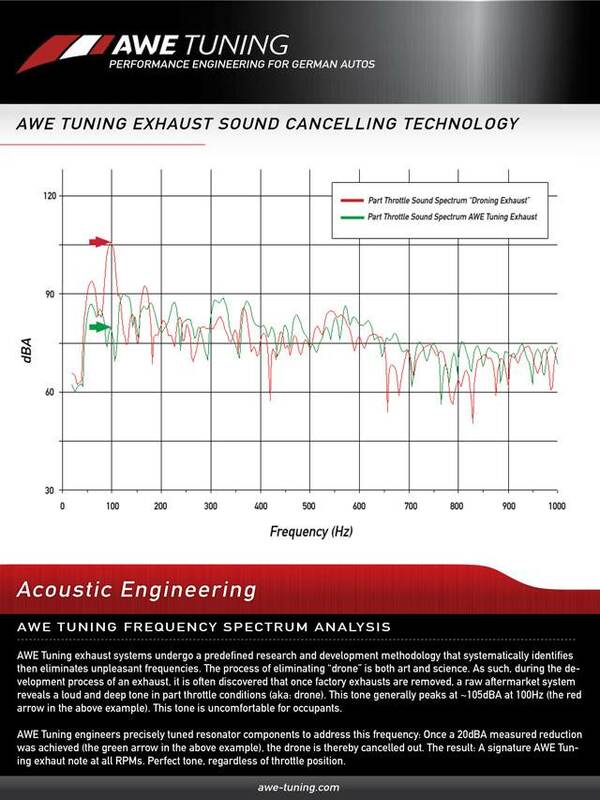 AWE Tuning has been countless hours researching and developing this system to perform at the highest levels possible with no compromise. Using their exclusive Helmholtz Resonator Technology AWE Tuning creates a sound for the Supercharged V6 unlike any other! The Best of the Best of 3.0T exhausts. 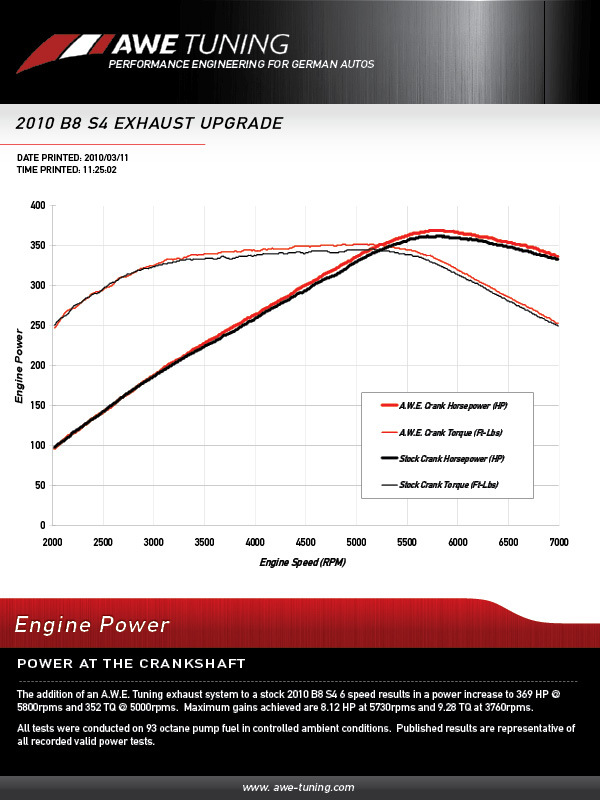 AWE Tuning's S4 3.0T Exhaust System represents the most tedious, yet most rewarding, exhaust development projects in their history. The engineering put into the 3.0T systems have led the way for these same technologies to be used throughout the AWE Tuning Exhaust range. The grueling hours spent developing this exhaust to achieve outstanding civility when idling and at part throttle cruising, while also producing a pronounced roar when in full throttle. All AWE Tuning exhaust systems are hand built in house one by one, with the utmost care and precision to ensure you the customer will be satisfied to the nth degree. They really do treat each and every system as if its the only one they are ever going to produce! Available Exhaust Tips are as follows - all of which include the AWE Tuning logo, and double walling to ensure a mirror finish even under hard usage. Tips are individually adjustable, so stagger and depth into bumper can be set according to personal taste. Get the look you want! You won't be stuck with tips sticking too far out or too far in. Adjust them to be exactly how you want them to look. 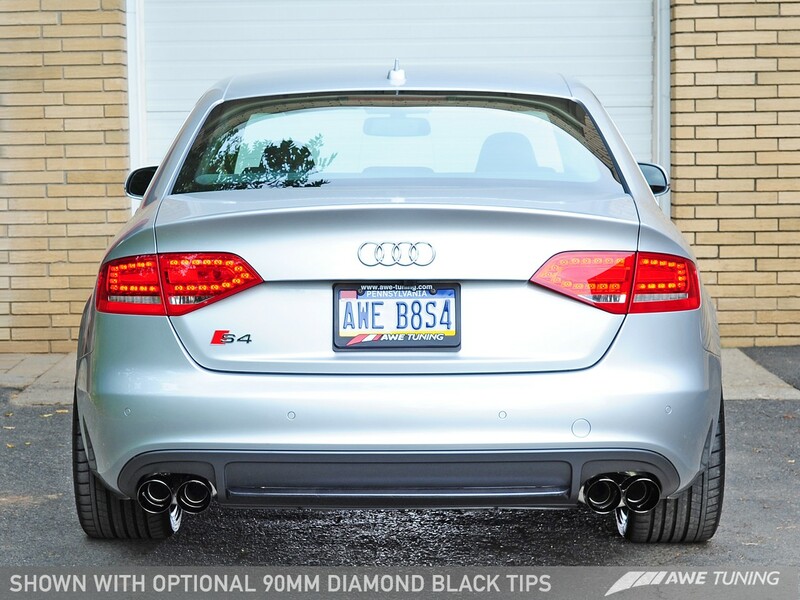 Important note: 102mm tips will only fit on 2013+ B8.5S4's. To accommodate the 102mm tips, the muffler itself had to be re-engineered, and as such, tips cannot be changed from 90mm to 102mm without the purchase of a new rear section of the system. Questions on this? Contact us. 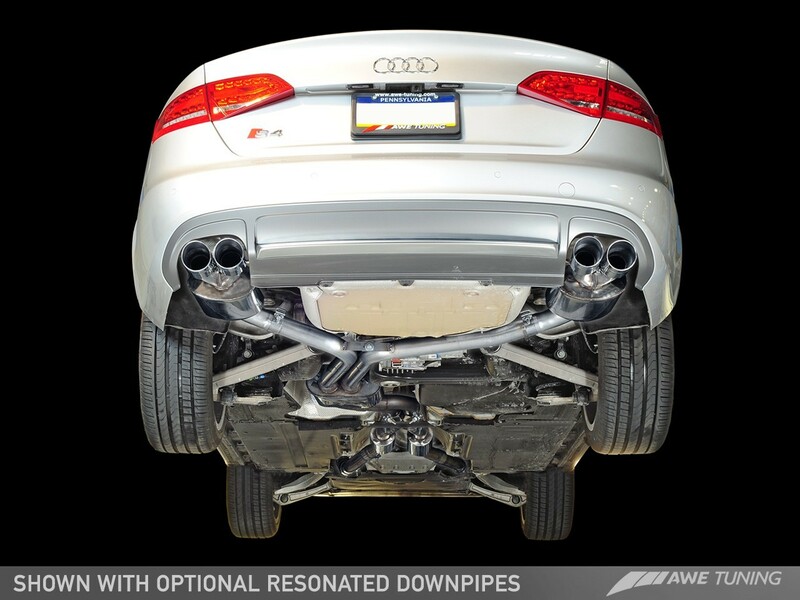 AWE Tuning offers Resonated or Non-Resonated Downpipes to pair with the Touring Exhaust System. The Resonated Downpipes (strongly recommended for S-tronic cars) feature resonators bigger than the stock units in order to produce a quieter sound volume. The optional Non-Resonated downpipes are best for those seeking a louder and aggressive sounding exhaust. Both the Resonated and Non-Resonated Downpipes feature larger than stock tubing diameter. Downpipe + Exhaust packages will save you some money as a package priced system. Installing downpipes on the S4 is quite difficult due to the placement of the factory bolts. If you're planning an install, be sure to add the Downpipe install tool to your order! Not sure if you want to do the full package with downpipes as well? No worries. If you purchase a Downpipe-Back system alone, you have one full year from the date of system purchase to buy the desired downpipes, for the price difference between the Downpipe-Back system alone and the package price (price at the time of downpipe purchase). This is for original owners. NOTE: All out of stock systems are built to order lead times are usually 2-3 weeks but sometimes longer.